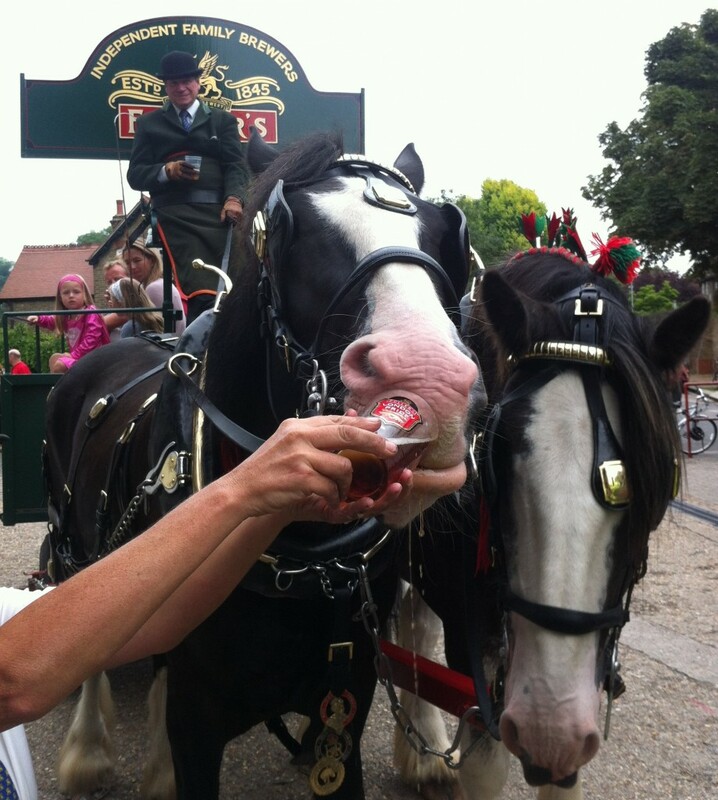 Every year, the Fullers Brewery in Chiswick throws open their doors and holds an open day. Usually one of the highlights is a tour of the brewery itself, as it not only takes you through the brewing process, but you get to walk a space with over 350 years of brewing history. Unfortunately all tours were booked out by the time we arrived, but that didn’t mean that we couldn’t enjoy the day’s other delights. Exit through the cellar door shop. Obligatory food shot. Yes, the crackling was perfect!